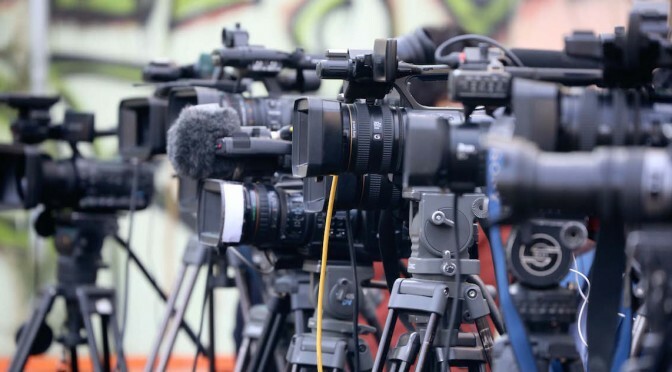 The Islamic Emirate recognizes the status and importance of the media in society. Media is a most effective tool for reforming, informing and protecting the higher interests of society. You are all aware that our homeland has been under the brutal American occupation for the past 14 years. The entire country is engulfed in war and Mujahideen are carrying the heaviest share of jihad and struggle of the Afghan Muslim nation on their shoulders. Seeking freedom and salvation from occupation is the responsibility of every Afghan and is not limited to a specific class or a particular side. Freeing the country from the claws of America and establishing a robust, corruption-free Islamic government in accordance with the beliefs and true convictions of the Muslim people of this nation is our shared religious and national duty. That the Mujahideen are carrying out Jihad, willingly sacrificing life and property while forgoing all luxuries of life in the path of Allah. Therefore it would not be fair for the media working in our country to stand in opposition to the only shielding force of our nation and simultaneously confusing the minds of people to side with the invading belligerents. For this reason the Islamic Emirate deems it necessary to once again remind all media outlets operating inside the country to refrain from biased reporting in their disseminations. Avoid holding a negative attitude towards the ongoing sacred Jihad which is without a doubt our religious obligation. Stop scandalous libels against the Mujahideen during battles and end provocative and un-Islamic advertising against the ongoing resistance. If for varying reasons you are unable to directly support the Mujahideen, the least you could do is not stand in their opposition or distribute biased reports, news and programs in favor of the enemy. Such actions not only bring about historic disrepute, rather they will also compel the Jihadi side to safeguard its status and force their hand in neutralizing propaganda instruments working for enemy interests. Unfortunately – in the recent advances and successful operations by Mujahideen in the northern provinces like Kunduz, Badakhshan, Baghlan, Saripul and similarly Kabul and other areas – the media has not only failed in informing the nation about the truth, rather on the contrary they have exerted efforts to censor these realities and have come to consider high-end propaganda against Mujahideen as their duty. They have not given coverage and in some cases altogether avoided reports as well as verification and rejection statements provided by the spokespersons of Islamic Emirate and seemingly such a policy is not tolerable for anyone. We once again urge all media outlets operating inside the country to adopt impartiality. Any news being published through the mouth of the enemy must prior be shared with the spokesmen of Islamic Emirate and their opinions requested. Refrain from publishing fabricated and baseless reports and give importance to sustaining healthy contacts with the Mujahideen. In this regard the committees for protecting journalists and media must also encourage media outlets to observe ethics of journalism and maintain impartiality to avoid inflaming sentiments.